At its just completed National Council held in Shiloh Hills near Adelaide, the Australian YCW adopted a new campaign on the theme "Worth Working For, Security and Dignity in Life". "A new society must be shaped, the first aim of which must be the service and development of the dignity of each human person," according to Cardinal Joseph Cardijn quoted in a statement by Australian YCW project officer, Melanie Boodhna. "These words have been among the driving elements that helped members of the Australian Young Christian Workers to come up with a new two-year campaign," Ms Boodna said. Throughout the two-year campaign, the AYCW will focus on helping young workers achieve financial stability and security through workshops and training sessions. The organisation is equally concerned about the education of young people throughout their lives, the training of young workers in faith and leadership through the See Judge Act method. The AYCW aims at coordinating young people to take action collectively as a means to respond to the needs of society. A series of workshops, retreats, and training sessions will be organised throughout the next two years to carry out the campaign, Worth Working For; Security and Dignity in Life. 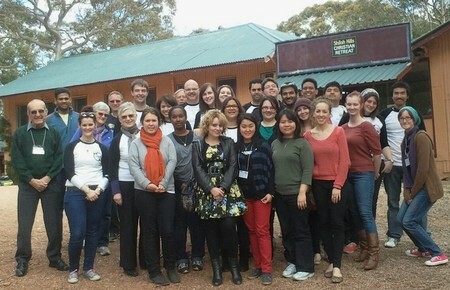 Council participants came from Melbourne, Perth, Parramatta, Adelaide, Townsville and Sandhurst. Guests who attended the council were Bishop Justin Bianchini of Geraldton, Bishop Eugene Hurley of Darwin, Malcolm Hart, Senior Youth Ministry Projects Officer for the Bishops Commission for Pastoral Life and Elise Ganley, National Coordinator of the Young Christian Students movement. At the Council, the movement also evaluated its previous campaign, Finding Meaning, Making a Difference: Work, Life, Faith, Action. “Young people spoke passionately about their lives and the growing feeling of insecurity, with some of the causes being temporary work, the rise in living-costs, as well as leading a student life and juggling work!” said Ms Bridget Flood, AYCW National President. For more information, contact Melanie Boodhna, AYCW National Project Officer, email address: melanie.boodhna@ycw.org.au.